Plus, a new Legend of Heroes is coming next year. More familiar characters are joining The Legend of Heroes: Sen no Kiseki II, this week’s Famitsu reveals. Of course, there might be spoilers ahead for those who haven’t played the original Sen no Kiseki, or other Legend of Heroes games before it. Proceed with caution. From The Legend of Heroes: Ao no Kiseki and Zero no Kiseki, Lloyd Bannings (voiced by Tetsuya Kakihara) and Rixia Mao (voiced by Rina Sato) will appear in the game. 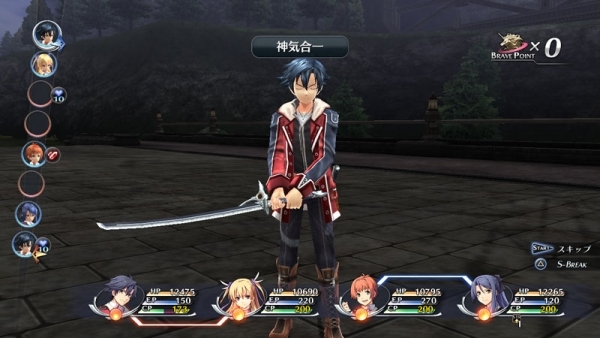 A screenshot in Famitsu shows the pair fighting as party characters, but it’s unknown whether or not the two will become friends of Class VII. Vita Clotilde (voiced by Yukari Tamura) and Biblanc (voiced by Hiroaki Miura) will also make a reappearance. Finally, and details are scant, but a new Legend of Heroes game is coming in 2015. It’s called The Legend of Heroes: Akatsuki no Kiseki and its platform is unannounced. It’s listed as a “story RPG,” and “service” is set to begin in 2015. Considering the word “service” is used, our source suggests it’s an online RPG.